My baby Bearded Dragon Tippie-Toe! Pic2 (last pic). 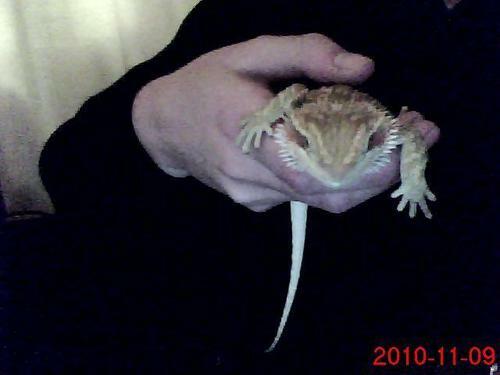 My 2nd pic of My baby bearded dragon Tippie-Toe 4 all to see!. Wallpaper and background images in the Blaze the Cat club tagged: tippie-toe. it's bearded? I didn't notice that. now that is unusal and cool at the same time! How does this have anything 2 do w/ blaze?